1080p 144hz vs 1440p 144hz – Is it worth the upgrade? 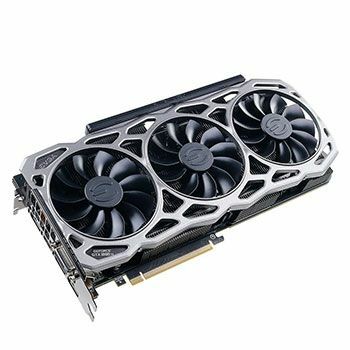 Are you considering an upgrade from 1080p at 144Hz to 1440p at 144Hz, but you’re not sure if it’s actually worth it? 1080p has long been the standard and even now it’s what the vast majority of gamers use. But, with hardware becoming increasingly powerful, higher resolutions and frame rates are quickly becoming easier to achieve. This means that 1440p is potentially the sweet spot for 144Hz gaming in 2018 – if your hardware can handle it. When it comes to high resolution/high frame rate gaming, your hardware will be the biggest hurdle you have to clear. As long as you have a strong enough graphics card and processor coupled with enough RAM, 1440p 144Hz gaming might just be worth it. Gaming in 1440p at 144Hz is no joke, you’ll need some serious hardware to run the most demanding games at a frame rate high enough to really take advantage of a 144Hz refresh rate. That said, in order to take full advantage of a 1440p 144Hz monitor, you’re going to need at least a GTX 1070 graphics card paired with a recent 4-6 core (or better) processor. On top of that you should also consider running 16GB of RAM to ensure the best experience. 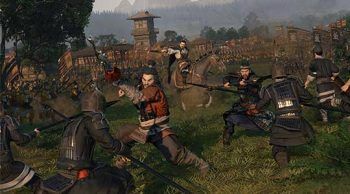 However, even a GTX 1070 won’t be able to push 144fps in every game out there in 1440p, in fact a lot of the more demanding AAA titles might only run at 100fps on ultra settings. The more powerful GTX 1080 will even struggle to push some of the more demanding titles up to 144fps in 1440p! Simply put there are more pixels, and as a result, the image is crisper and more detailed when compared to 1080p. As an example, let’s assume you’re running a 1080p monitor right now. Now, take the last game you played in 1080p at 144hz, but imagine it much crisper looking and with way more fine details. That’s basically the difference between 1080p and 1440p. 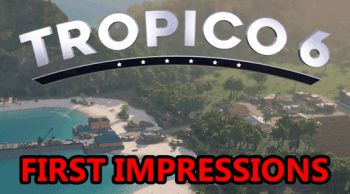 For those of you that are very picky about the graphics you play at will certainly notice a jump in quality when switching to 1440p. After the transition you’ll feel that going back to 1080p will be out of the question as the shortcomings of 1080p will be much more evident. Kind of like when you made the switch from 60fps to 144fps. The higher pixel count of 1440p not only provides more detail, but can also improve your gameplay if not just slightly. For instance, if you’re aiming down a sniper scope in Battlefield 1 and you’re trying to get a headshot, then there are more pixels to aim at. If in 1080p the head of your target is represented by 5 pixels, in 1440p it would be represented by 10 pixels. 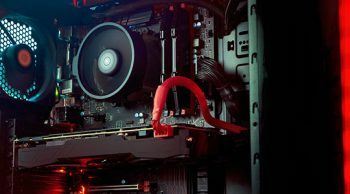 Picking a good monitor can be one of the hardest parts of putting together a sweet gaming PC as there are quite a few points to consider. Ideally, you want a monitor with resolution and refresh rate you want to game at, that’s a given. But, you also want to consider things like the GTG response time, the size, if it’s VESA mountable (if you care), if it includes speakers, and more. But, let’s skip the tech lesson and I’ll just show you 4 of the best 1440p 144Hz monitors you can buy right now. Each has their own pros and cons, price point, and aesthetic appeal, so take your time to check them all out! Keep in mind that for monitors using FreeSync you’ll need to use an AMD graphics card to take advantage of the variable rate technology. It’s the same for monitors utilizing G-Sync, only instead of an AMD GPU, you’ll need an Nvidia GPU instead. 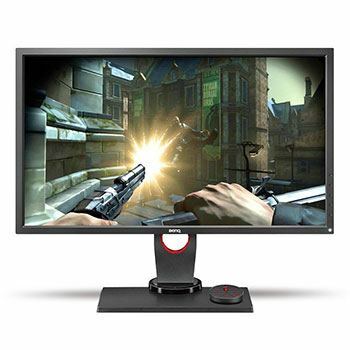 You can use an AMD GPU with a G-Sync Monitor and vice versa; you just won’t be able to take advantage of the advanced synchronization tech that these types of monitors offer. If you want, you can learn more about G-Sync vs FreeSync, the different panel types, and pretty much everything else you need to know about gaming monitors in my post about how to pick the best monitor for gaming. Currently, these are the 4 best 1440p monitors that I would suggest looking at. There are definitely more options available, but these 4 are all tried, tested, and true. 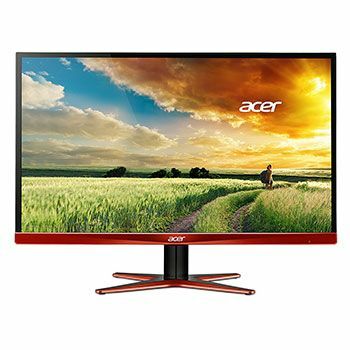 The first entry of the trio is from the trustworthy Acer, who has already impressed the gaming monitor marketplace with a number of options. The Acer XG270HU 27-inch has a 1440p resolution and can be enjoyed at 144Hz providing very smooth gaming. It also provides a 1ms response time, a gaming feature that keeps input lag down to a minimum. It’s an ideal feature for those who enjoy competitive gaming and rely on the speed of input to win the match. Also, it’s perfect for those of you who are using AMD graphics cards as it comes with Freesync. A technology that keeps screen tearing and stuttering to a minimum while enjoy your games. Overall, the Acer XG270HU 27-inch is a great gaming monitor that is a worthy contender in this category. The blend of gaming features and competitive price point means you get to have an uncompromising gaming experience. 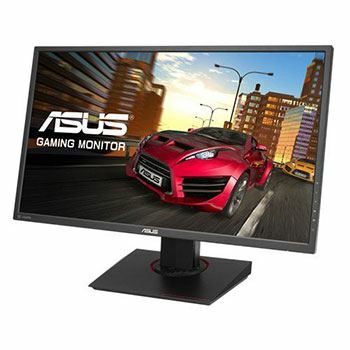 Asus is another electronics company that has a wealth of options in the gaming monitor marketplace. The ASUS MG278Q 27″ allows you to game at 144 frames per second and 2K resolution, which is impressive by anyone’s standard. Perhaps by taking a look at its features will help you decide if this monitor is for you. Worried that your eyes will become tired after long gaming sessions? The Asus Eye Care technology helps you with that by delivering a more eye-friendly picture. Additionally, you can expect a stand that’s highly customizable allowing you to get the physical configuration you want. Like the Acer monitor, this one comes with Adaptive-Sync technology to provide visuals that are buttery smooth while gaming. Finally, the 1ms response time keeps input lag to a minimum, which is perfect for those of you that are competitive gamers. The ASUS MG278Q 27″ is very similar to its Acer counterpart, but comes in at a slightly higher price. 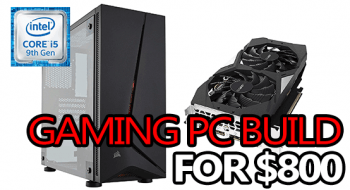 If you’re a fan of Asus products, then you won’t be disappointed by this purchase. Interested in a gaming monitor that is consistently used in e-sports events around the world? 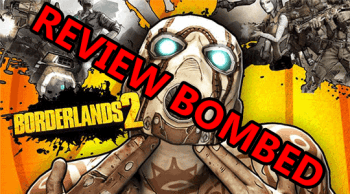 Then the BenQ ZOWIE 27″ QHD is worthy of your consideration. 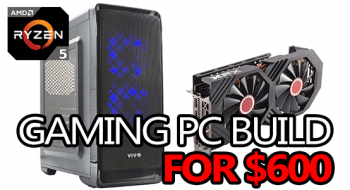 This is by a small margin the most expensive option on this list of 3, but it comes packed with a bunch of features perfect for gaming. The combination of 144Hz and 1ms response time makes this perfect for competitive gaming. The response time is fast enough to not leave you at a disadvantage. If you’ve been playing at 60Hz and upwards of 4ms response time for example, then you should notice the difference here. Black eQuilizer ensures black screens have superior quality, and they are specifically optimized for e-sports game like Overwatch and CS:GO. Furthermore, the blend of low blue light and flicker-free technology means eye strain is kept to a minimum. Consequently, you can enjoy longer gaming sessions without worrying about damaging your eyes. Those who are interested in making the jump from 1080p to 1440p for the first time then the BenQ ZOWIE 27″ QHD is a solid option. 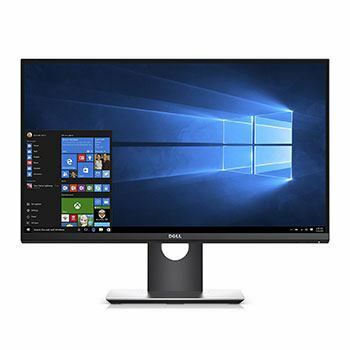 Dell’s Gaming S2417DG is one of the best options when it comes to a 1440p 144Hz monitor that supports Nvidia G-Sync. This advanced synchronization tech assists in lessening the amount of screen tearing and stuttering that happens when you’re not quite able to achieve the 144 FPS required to fully utilize the 144Hz refresh rate. It’s worth noting that the S2417DG is one of the cheapest options here while being one of the best. This is my go-to monitor for recommendations when it comes to needing 1440p and 144Hz. It’s the monitor I use and I have never been let down nor disappointed. Well, I did have an issue with the very first one I received, but thanks to Dell’s top-of-the-line support, I had a replacement shipped out the next day, and it arrived shortly after that. On top of being one of the best priced 1440p 144Hz monitors with G-Sync, the S2417DG also comes with a 1ms GTG response time (doesn’t get better) and is running a TN panel (the best for gaming). It’ll support all popular display connections and thanks to its nice thin bezel it works amazingly in multi-monitor setups – I’m running 3 right now. 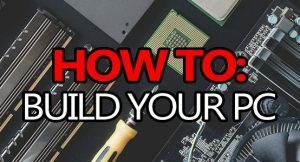 Now that we’ve gone over some of the advantages that 1440p 144Hz gaming presents, as well as the extra requirements; you should have a good idea whether or not upgrading from 1080p 144Hz to 1440p 144Hz is worth it. Some are perfectly happy to play games at 1080p, while others say that once they make the jump to 1440p, they can never go back. At the end of the day, it boils down to personal preference. Thanks for the write up. This site is fantastic. I’ve been a PC gamer since the late 90’s but have been out of the game a few years. 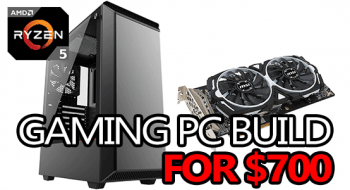 I’m currently interested in building another PC for casual gaming and possibly some twitch streaming/YouTube gaming channel. The monitor I’m going to purchase for this system is what’s holding me up. If it was just for my personal gaming sessions I’d get a 1440p 144Hz no question. All the research I’ve done concerning streaming and running a channel is swaying me to just pick up 2 1080p 144Hz monitors. What are your thoughts? You’re welcome, Bobby! It’s entirely possible to stream at a lower resolution than what your game is set to, it’ll take a bit of fiddling around with OBS or whatever program you decide to use but it’s not an impossible task – lots of people stream at 720p/900p and run 1080p+ monitors just as an example.